Euthanasia Prevention Coalition Euthanasia Prevention Coalition: New Mexico amends the most extreme assisted suicide bill in America. New Mexico amends the most extreme assisted suicide bill in America. 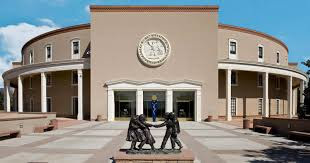 Yesterday, the New Mexico's Health and Human Services committee held public hearings on assisted suicide bill HB 90 that I have called the most extreme bill that I have ever seen. According to Eric Wicklund, writing for mhealthintelligence.com, the bills sponsor amended the bill, after the public hearing, removing the approval of death by telemedicine and changing the definition of terminal to a 6 month prognosis. Allows nurses and physician assistants to participate in assisted suicide by defining "health care provider" to include: a licensed physician, a licensed osteopathic physician, a licensed nurse, and a licensed physician assistant. Does not require the person to "self administer." The bill states "may self-administer" meaning that euthanasia is possible. Reduces waiting period to 48 hours to receive the lethal drugs. Allows people with mental health disorders to die by assisted suicide by enabling licensed psychiatrist, psychologist, master social worker, psychiatric nurse practitioner or professional clinical mental health counselor to approve assisted suicide for people with mental health disorders. Requires health care providers to falsify the death certificate. Removes conscience rights for health care providers who object to assisted suicide by requiring them to refer patients to a health care provider who is willing to prescribe assisted suicide. Basis decisions on a "good faith compliance." It is impossible to prove that someone who participated in the act did not do so in "good faith." Allows the "health care provider" to approve death via "telemedicine." Replaces a the normal 6 month terminal diagnosis with the undefined term: "foreseeable future." What does it mean that a terminal illness may cause death in the foreseeable future? Legalizing assisted suicide gives "third parties" the right in law to be involved with abandoning patients to death of a person when they are at the lowest time of their life. It is the concept of assisted suicide that is wrong. The fact that the extreme bill was amended doesn't mean that the bill can now be supported.